Remember the days when we used to whisper secrets into our friend’s ear with rolled up chart paper in school? Such stationery is often unused for its original purpose, rather is converted into objects of play by children. Science has always taught us that great discoveries lie in simple observations. Yet only a great mind can mould mundane everyday occurrences into something novel and exciting. It was Physiology Class in first year when the students first came across it. While teaching The Cardiovascular System, the professor had asked them to carry something very important with themselves for the next class. It was the very first time when she heard her own heartbeat that she truly felt alive. It was no less than a Eureka moment for the little doctor in making. Laënnec’s stethoscope: 1) instrument assembled; 2) and 3) two portions of the instrument in longitudinal section; 4) detachable chest piece; 5) ear piece unscrewed; 6) transverse section. Photo courtesy of the US National Library of Medicine. “I then tightly rolled a sheet of paper, one end of which I placed over the precordium (chest) and my ear to the other. I was surprised and elated to be able to hear the beating of her heart with far greater clearness than I ever had with direct application of my ear. I immediately saw that this might become an indispensable method for studying, not only the beating of the heart, but all movements able of producing sound in the chest cavity”. The stethoscope is what changes a student into a doctor. Listening and understanding the various Respiratory and Cardiac sounds is one of the most important tools for diagnosing a disease. Since the time of the Vedas and Hippocrates, physicians have understood the importance of auscultation. It was only when the great physician Rene Laennec first used a rolled up tube to auscultate the chest of one of his patients that the idea of a stethoscope was born. He is considered the Father of Clinical Auscultation. As the story goes, Laennec was called upon to examine a young woman with “general symptoms of a diseased heart”. Laennec was reluctant to auscultate the patient by direct method (placing one’s ear near the chest was widely used in those days). He remembered his observation of two children playing with a log of wood to amplify sounds. That was the moment of truth. He was surprised at the usefulness of this technique. 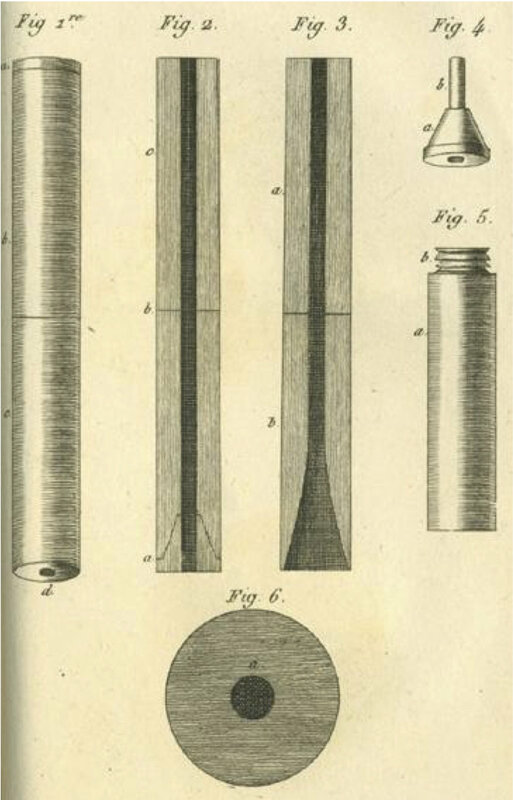 Laennec’s wooden tube was the very first stethoscope and was used until the later half of the 19th century when rubber tubing was developed. The stethoscope has come a long way since it's discovery in 1819. Irish physician Arthur Leared developed the first binaural stethoscope. In 1852, New York physician George Camman developed an improved design of the same which is in use till date. The parts of a stethoscope include two earpieces on the headset, chest piece, ear tubes, stem, tubing and tunable diaphragm. The earpiece fits into the physician’s ears and the chest piece is placed on the part being examined. The length of the tubing affects the quality of sound. In the 1940’s Rappaport and Sprague further improved the design which aided in both Respiratory and Cardiological examination. In the 1960s Dr. David Littman of Harvard Medical School gave us doctors our most prized fashion statement of today. It's not uncommon to see medical students obsess over their newly bought Littman Stethoscopes and strut around in the wards wearing it around their necks as a symbol of pride and honour. So now we know from where our dearest possessions come from. Dr. Littman designed a lighter stethoscope with improved acoustic design. Littman stethoscopes have become the gold standard (no microbiology puns intended here) by which all other stethoscopes are judged. Today a physician may choose between using an acoustic or an electronic stethoscope. While acoustic stethoscopes are widely used, electronic ones do offer some added advantages. They convert acoustic into electronic data. The main advantage of electronic stethoscope is that it can pick up sounds inaudible to the human ear even with the aid of an acoustic stethoscope. A physician’s life without this simple but exceedingly wonderful invention would have been quite difficult. Mere percussion and direct auscultation did not serve the purpose which lead to the invention of today's stethoscope. As an indispensable tool for making a diagnosis and a powerful symbol for the medical community, we salute Dr. Laennec for giving us one of the greatest inventions mankind has seen.